Making a silver leaf mirror frame requires the base to be as smooth and blemish free as possible. Silver leaf is delicate and fragile. Any imperfection in the frame will be magnified when the leaf is laid upon it. So any flaws or dings are filled and sanded smooth. We apply gesso to the frame – based on a traditional Italian recipe of gelatine and whiting – whilst warm, to build between 8 and 10 coats. 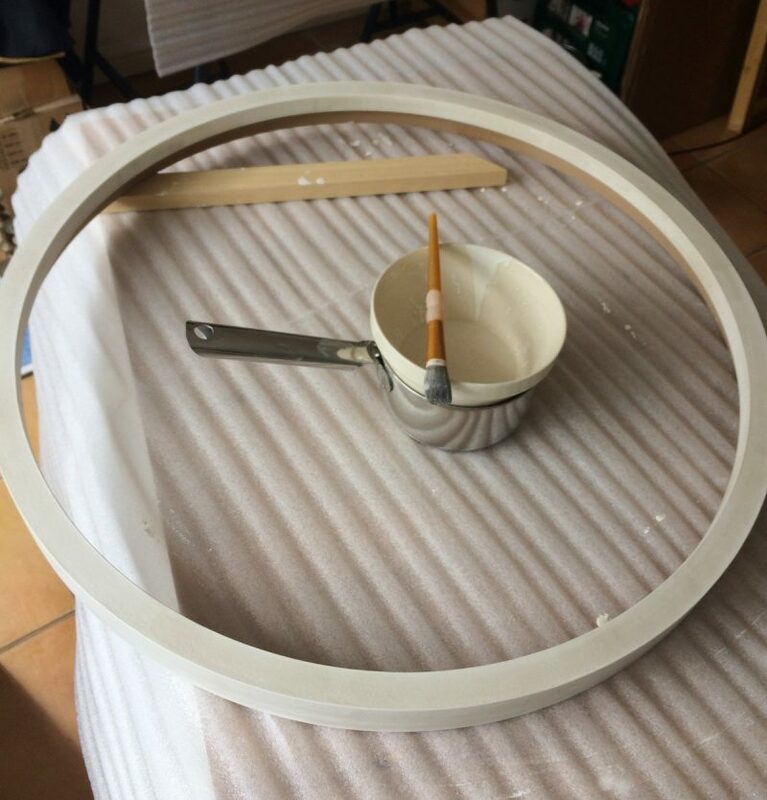 Applying gesso to a mirror frame. Gesso must be applied warm, hence the bain-marie saucepan set-up! If the gesso cools it will thicken and become hard to apply. Once dry, as much as 48 hours later, the gesso will be polished by working through finer and finer grades of sandpaper until buffing it to an ivory finish with a piece of linen. Next we apply the base colour, using gilders clay, commonly called bole. Frequently, blue and grey are used under silver leaf as they tone well with the colour of the leaf itself. Black can also be used to give a more dramatic finish as the ‘faults’ in the leafing are more apparent. The final coat of bole must be as smooth as possible and this is achieved by waiting until it is dry, then polishing with a bristle brush and baize cloth. 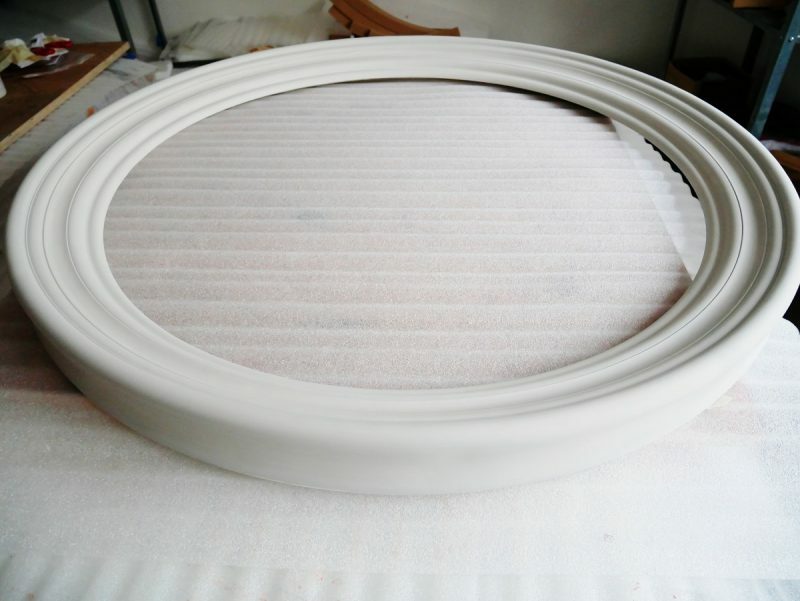 Mirror frame with a pale grey bole undercoat – looks almost white in this image but it is grey! The surface should now be beautifully smooth and ready for the final processes: applying the adhesive, laying on the metal leaf and burnishing. We will cover the final processes in the second part of this blog, coming soon. If you can’t wait, you can see the finished silver leaf mirror frame here.